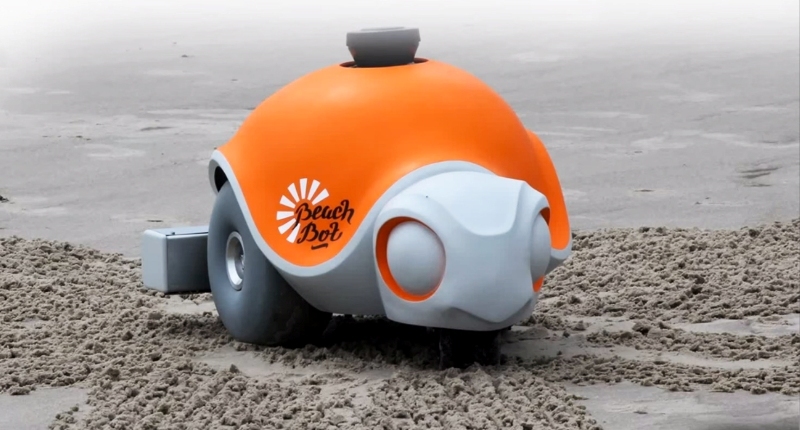 BeachBot by Disney: A ridiculously adorable turtle robot that creates spectacular sand artwork! Who said humans are the only ones that can create art? Meet BeachBot, a ridiculously adorable robot developed by Disney Research, in collaboration with a team of engineering students from ETH Zurich. 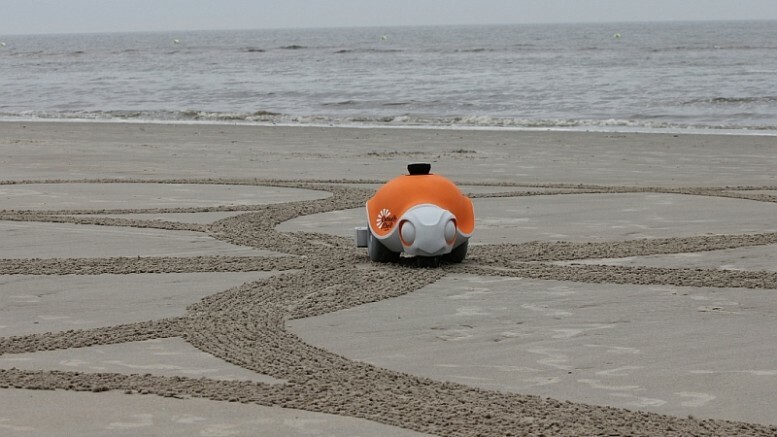 Sporting a set of wheels and a specially-designed rake, the fully-autonomous device is programmed to create spectacular sand art, right in the middle of a beach! 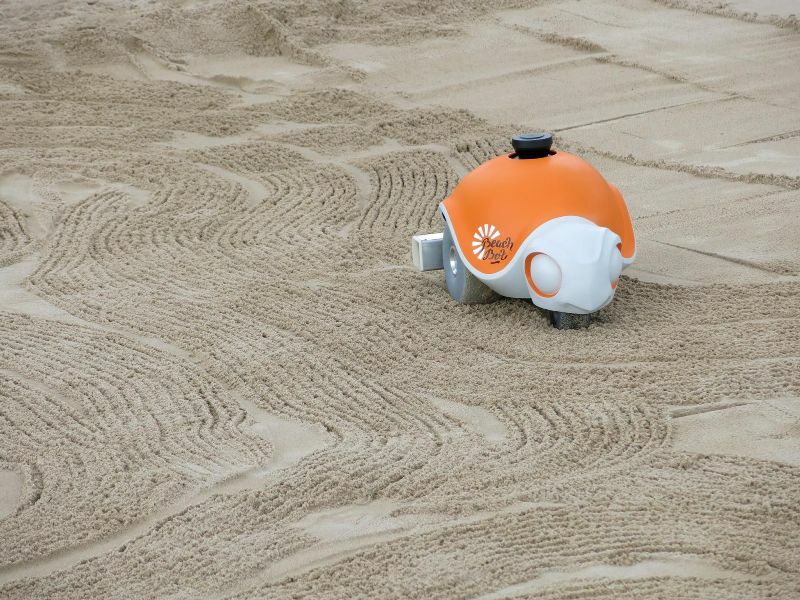 Measuring up to 60 cm x 40 cm x 40 cm in dimensions, the BeachBot resembles a bright orange turtle in appearance. Three robust balloon wheels, two at the back and one in the front, allow the automaton to move around freely. It creates incredibly detailed sand artwork with the help of a rake containing seven, separately-movable elements. 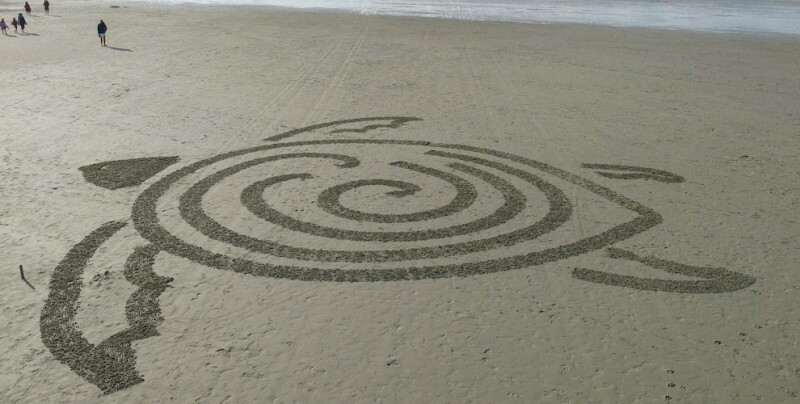 The designs and images can be pre-installed into the robot’s hard drive, and later carved onto the beach surface by means of smart software. Additionally, the device features a laser scanner that can generate active maps of the surrounding area. This, together with a set of reflective poles, transforms the sandy beach into a ready-available canvas. 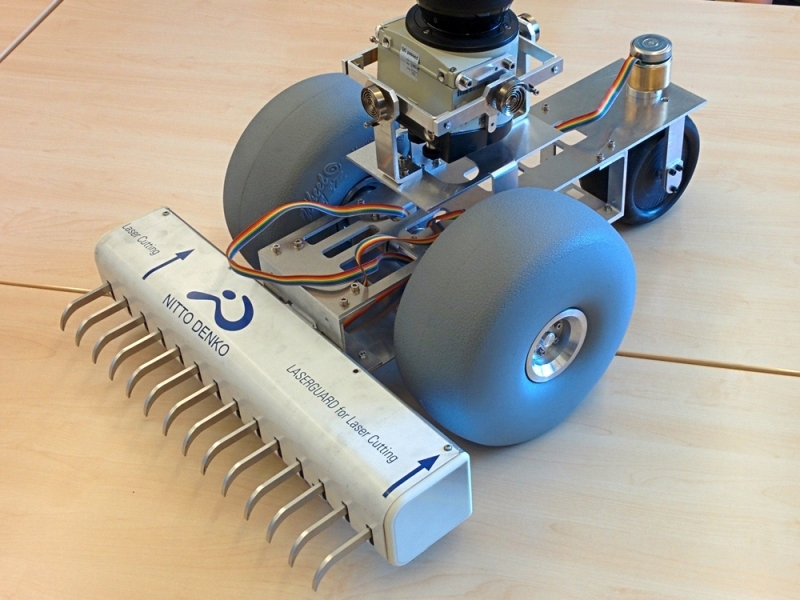 The robot is designed such that its sealed aluminium body completely prevents the entry of sand. 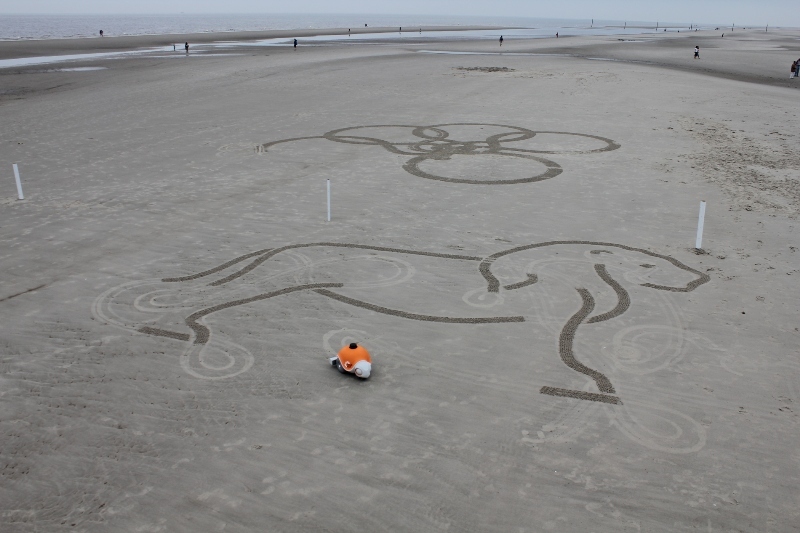 According to the design team, the artistic abilities of the BeachBot have already been tested on a 3-cubic-meter sand plot.